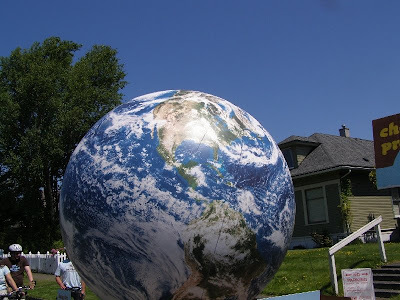 Planet Earth was in Ski to Sea Parade as part of an entry from the Restore. 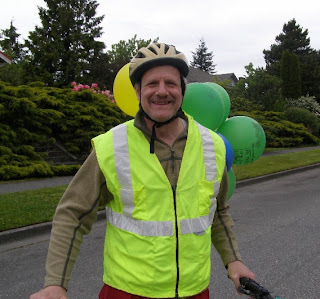 Bicyclists from Mount Baker Bicycle Club and other sources were in parade also. 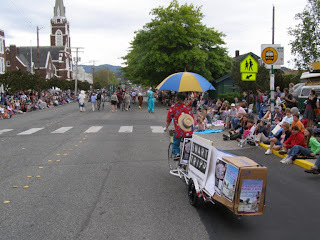 The club shared a spot in parade with Community Car Share of Bellingham. 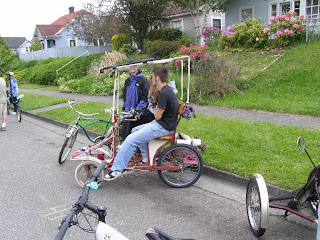 Car sharing and biking all go together. 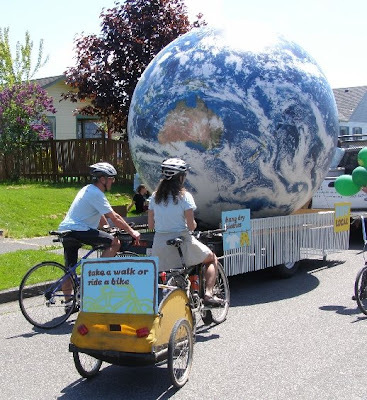 While Earth did ride in a truck, bicyclists were seen with T-shirts saying, "be cool, stop global warming." We now have some bicycle taxi's in town. 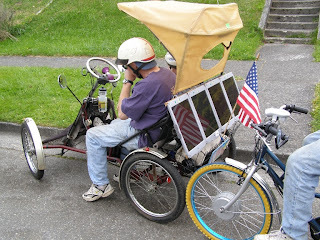 Some one's 3 wheel bike with "electric assist" reflects my image in it's solar collectors. 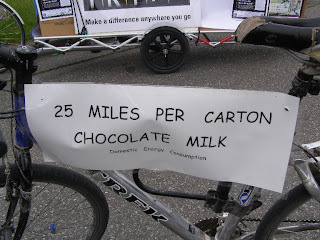 Like last year, my bike had a sign saying "25 miles to the carton of chocolate milk." 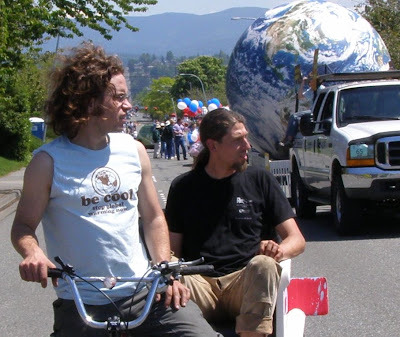 Smart Trips and/or Mount Baker Bicycle Club had a spot in the 2007 Ski To Sea Parade. I went along for the ride. Here are a few images. Click on images for larger versions. The sign on my bike says, "25 miles to the carton of chocolate milk." 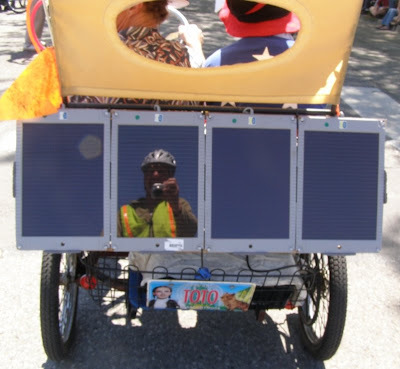 Solar power for a bike. Headed down the parade route. To find out what Smart Trips is about, visit their web site.